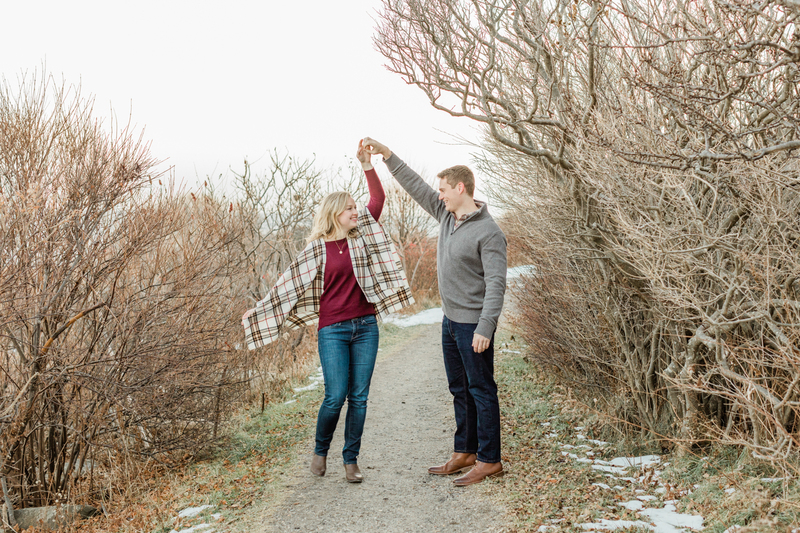 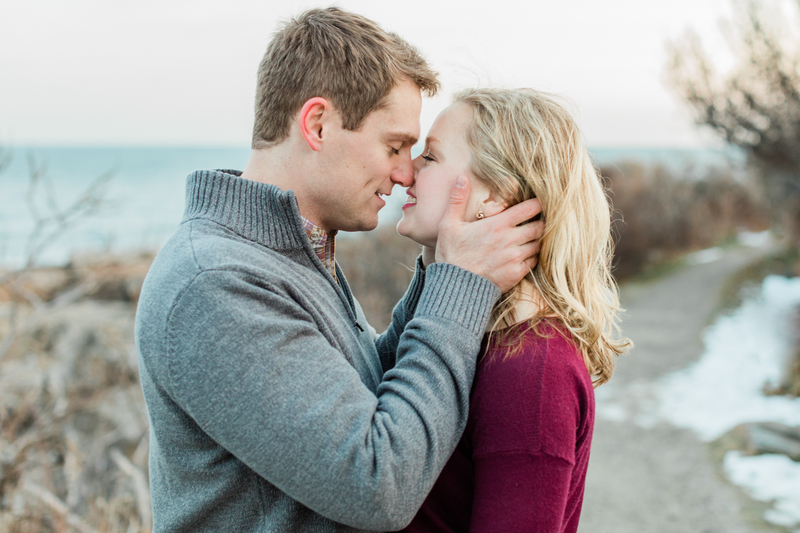 I met Sarah and Ben the weekend after Thanksgiving on a particularly chilly afternoon to celebrate their engagement. 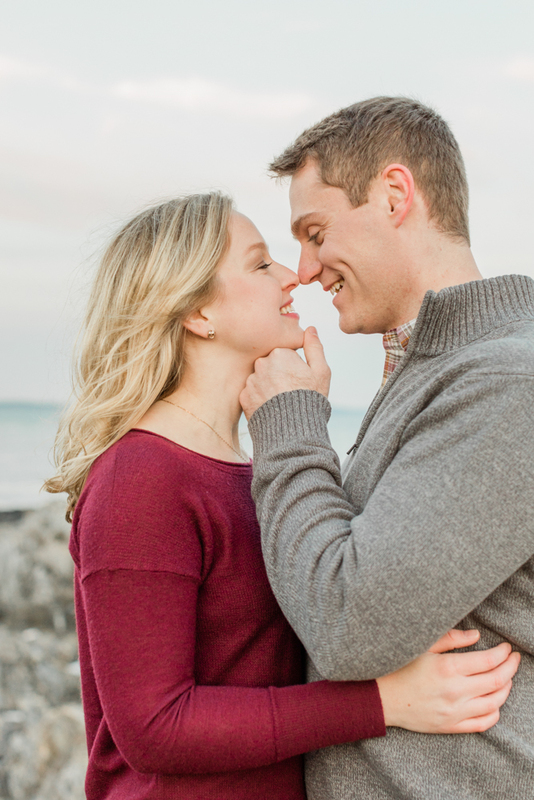 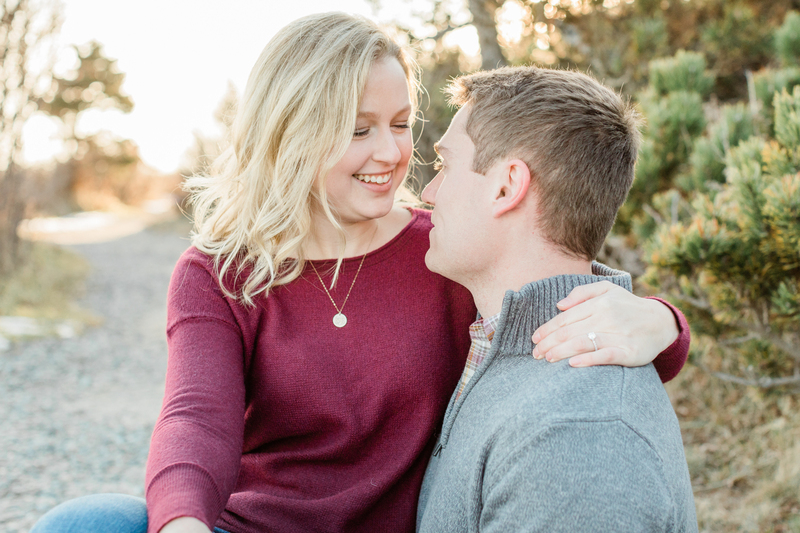 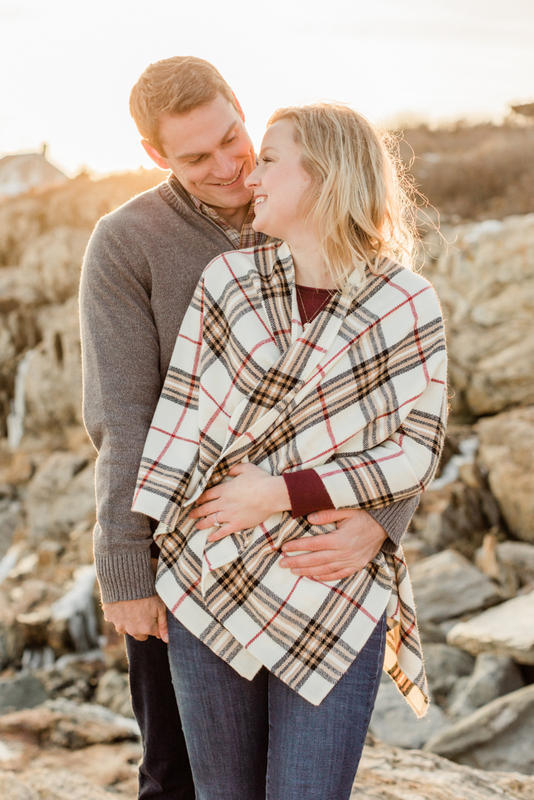 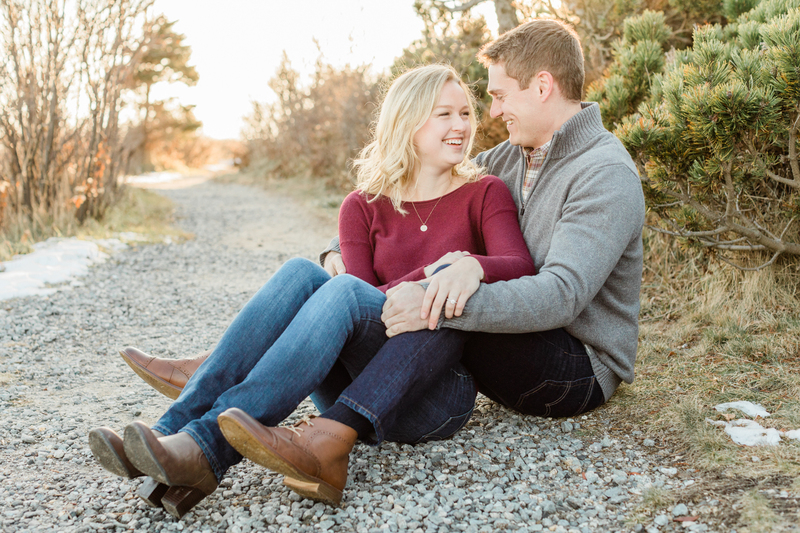 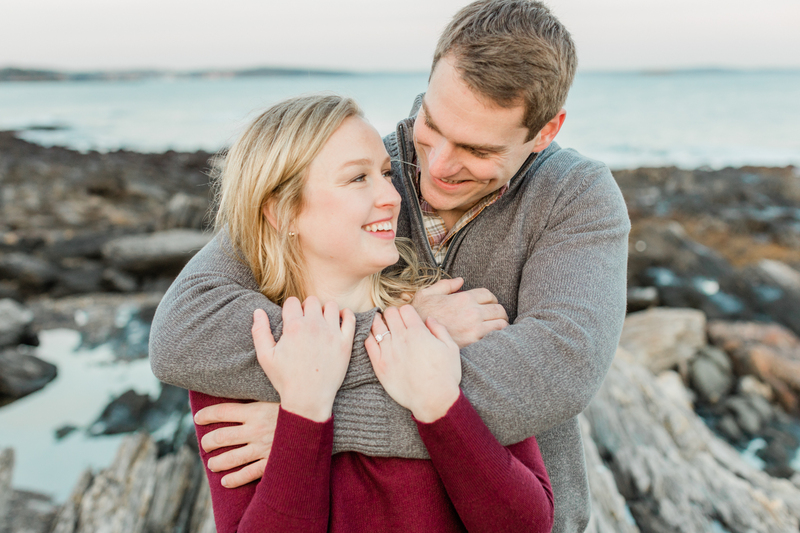 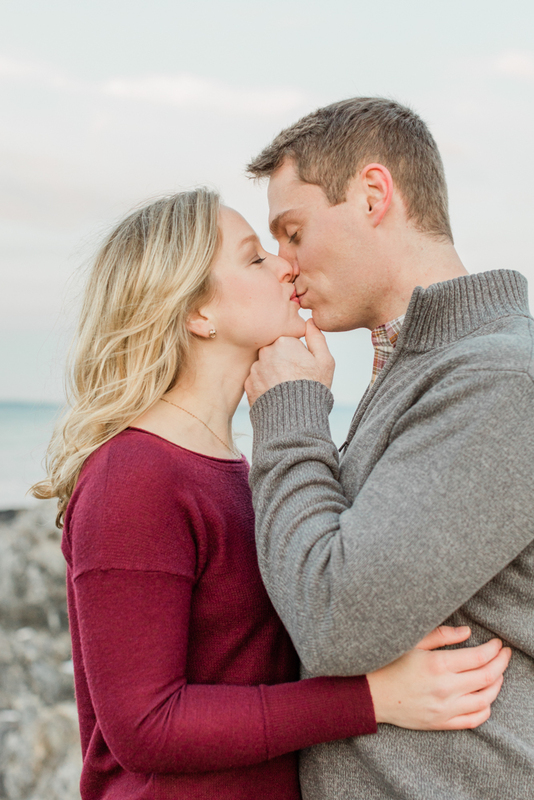 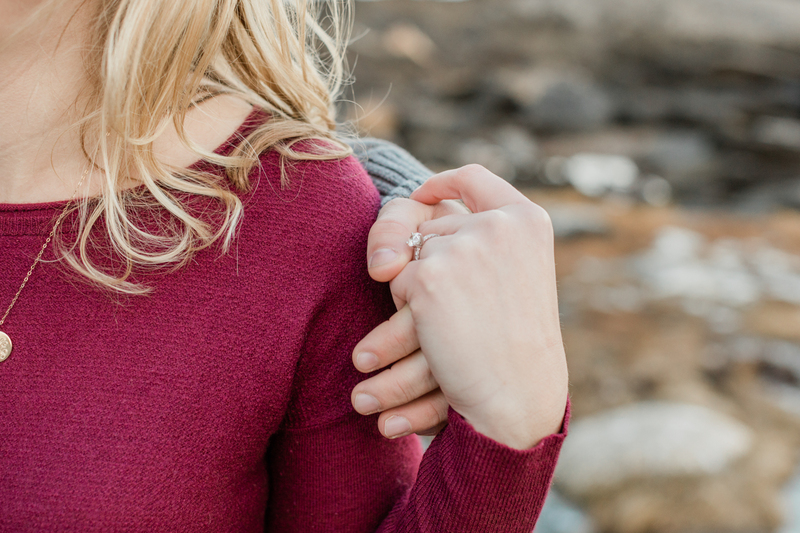 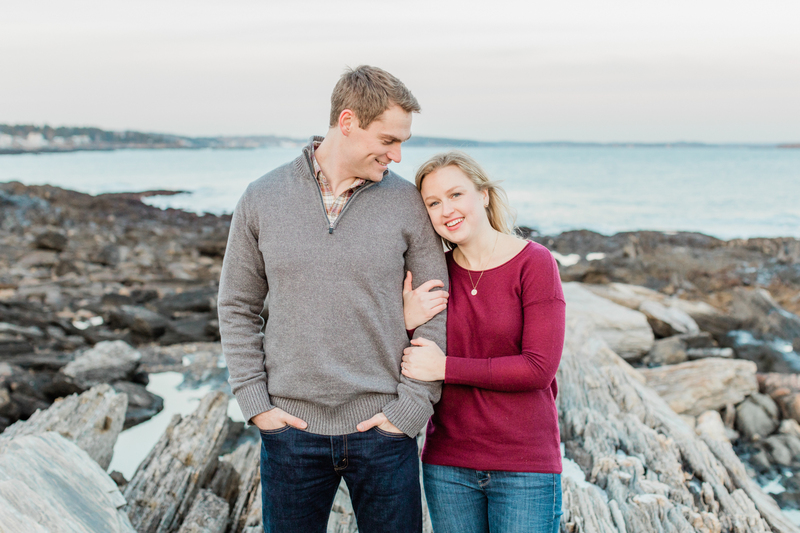 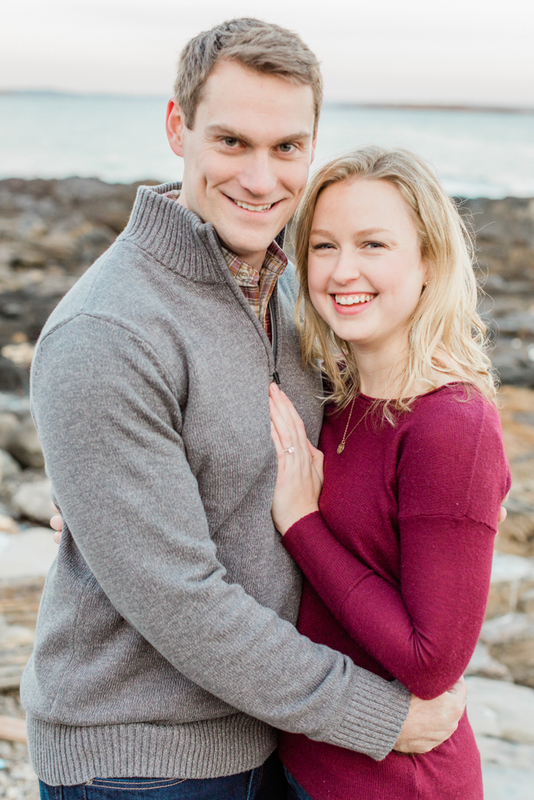 These two cuties are originally from Maine, but live in Maryland currently, so they wanted to take advantage of being home for the holidays and sneak their engagement session in. 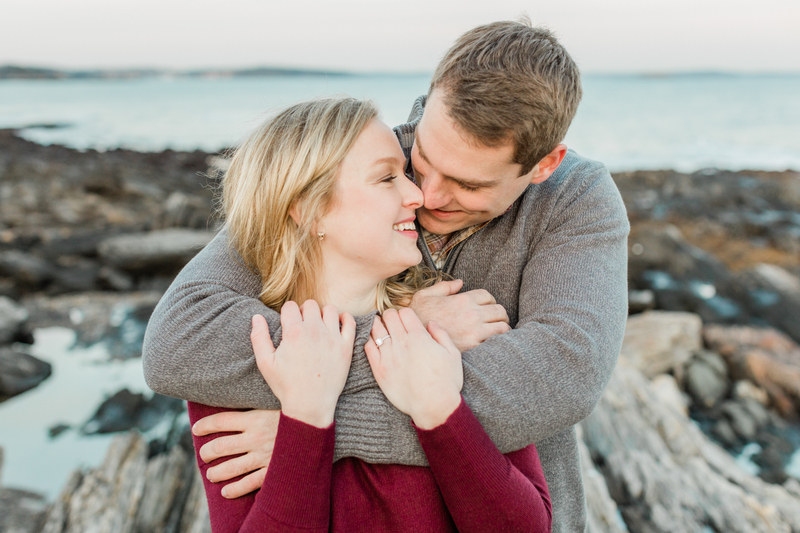 Sarah really wanted to find a spot on Maine’s rocky coastline and decided that Giant’s Staircase on Bailey Island in Harpswell would be the perfect spot. 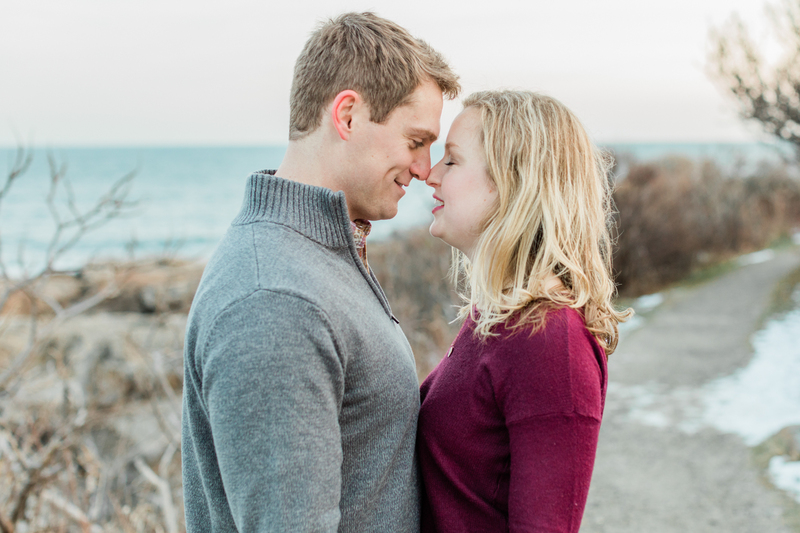 I was so excited to meet these two as we had just been chatting via email up until this point. 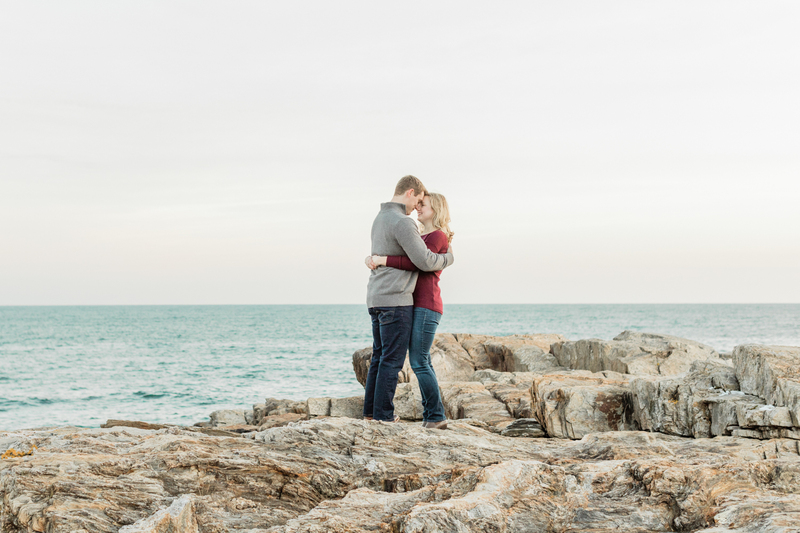 Sarah’s mom joined us on our adventure navigating this rocky, but gorgeous spot! 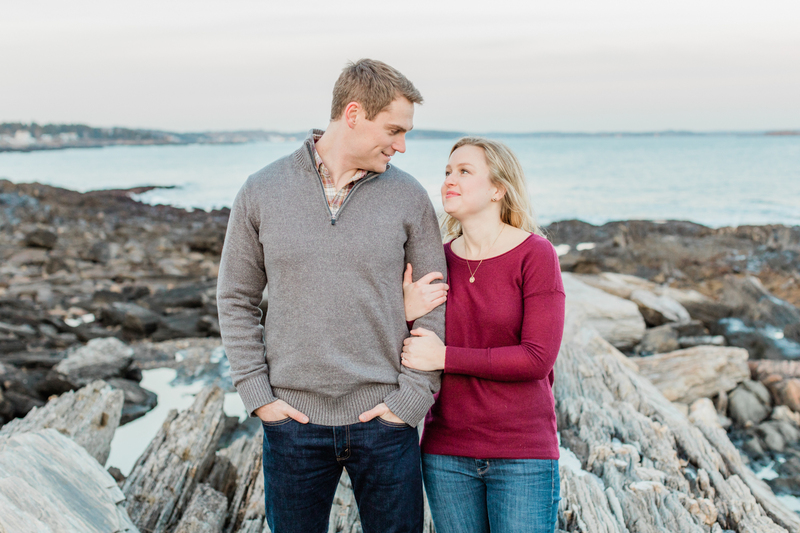 The rocks were covered in ice, but Sarah and Ben are that adventurous sort of couple. 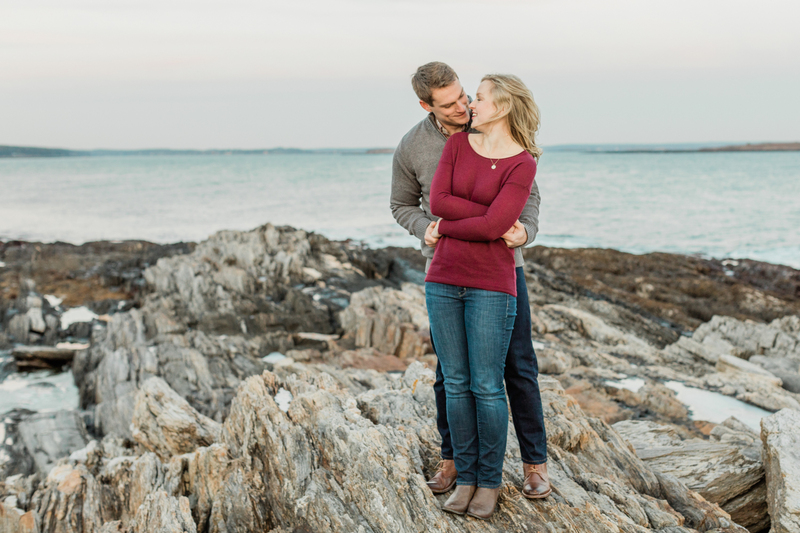 She navigated those rocks in heeled boots like it was nothing (true Mainer!). 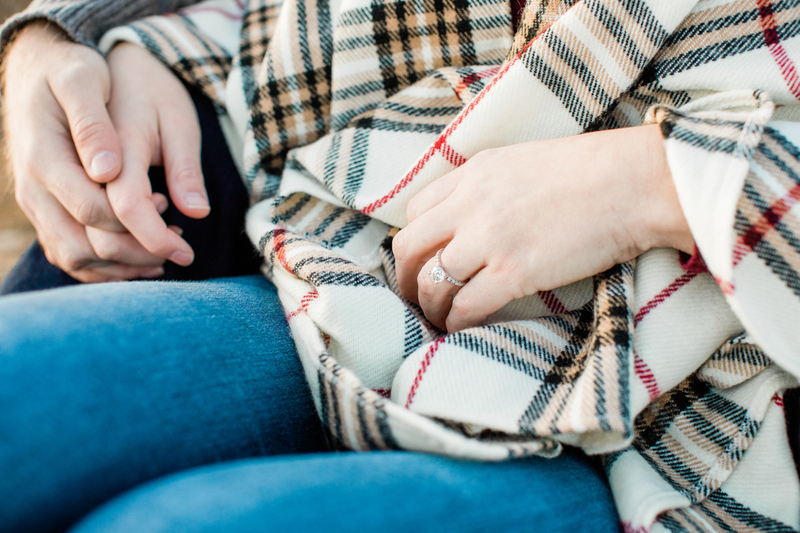 We had to take a quick break and warm up in the car as all of us couldn’t feel our extremities anymore. 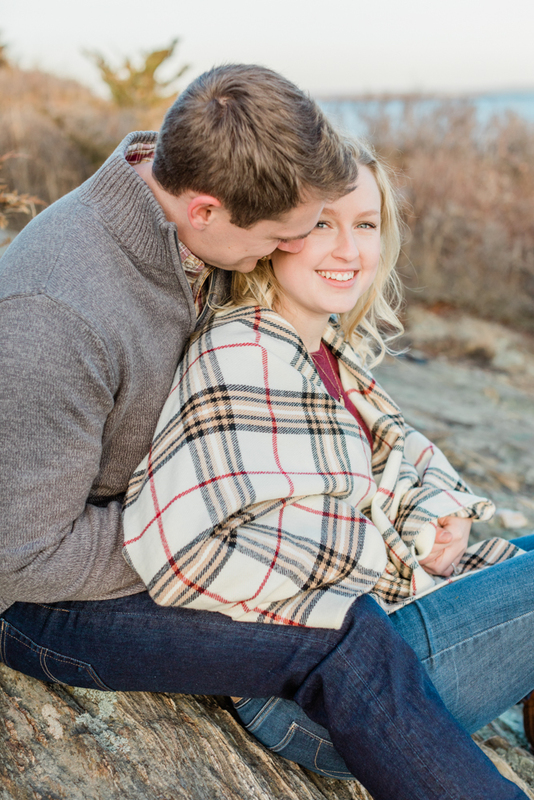 Even when they were freezing, though, they always had a smile on their faces. 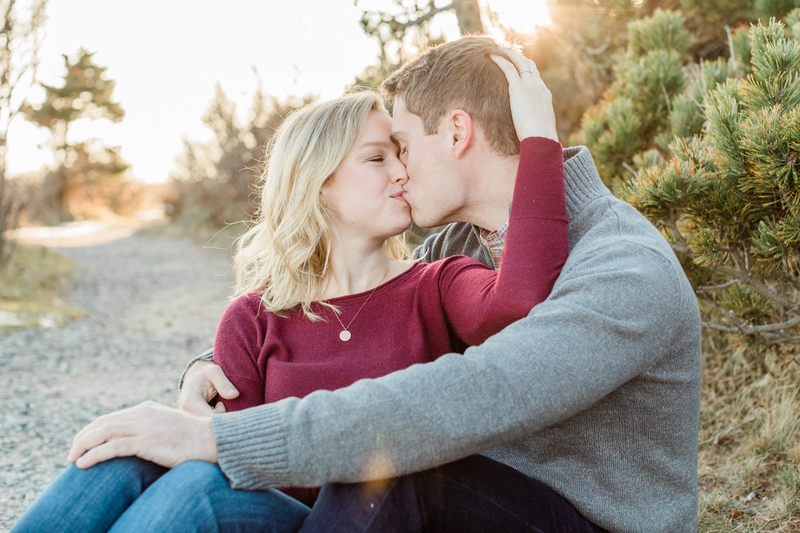 I’m so glad we all toughed it out and stuck around for the beautiful skies that the sunset gave us that day. 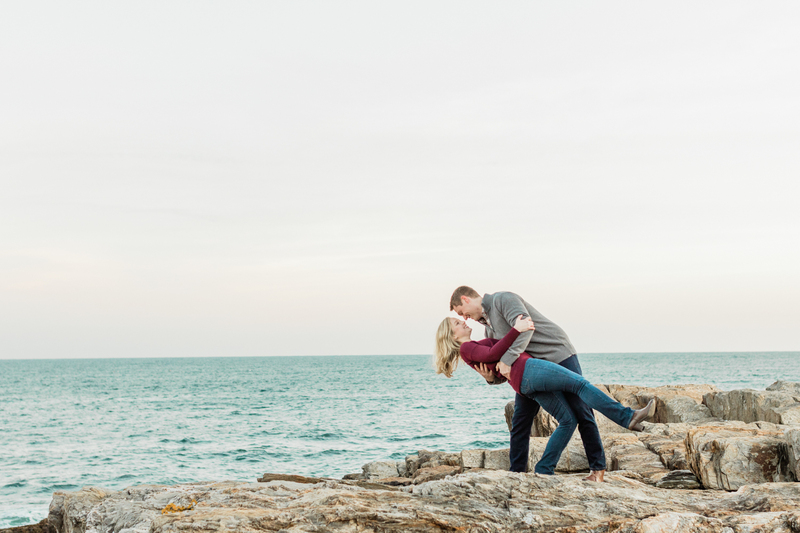 Although we found some interesting things amongst the rocks on our adventure, these two were full of smiles, laughs and adorable love for the whole time. 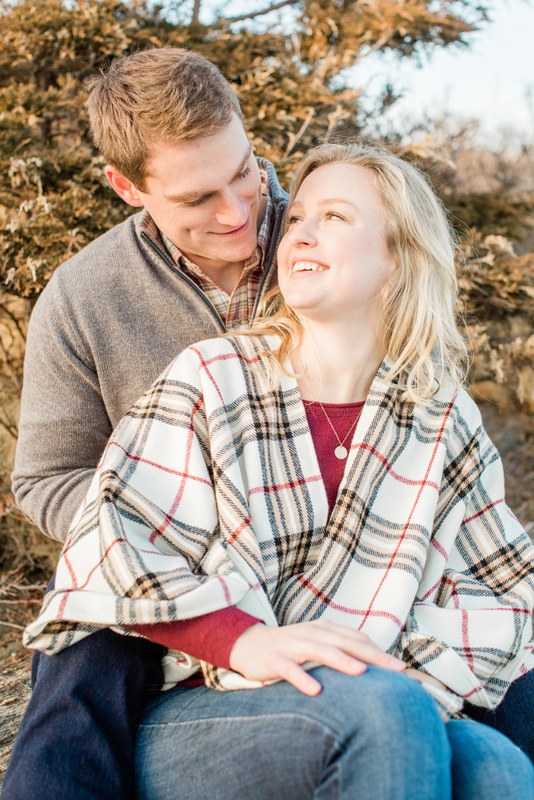 I can’t wait to see these two in June for their wedding!